As you see we've set video channel to pass-through. Audio channel is decoded with default software decoder and then encoded again. Here is the encoder settings dialog. You set Encoder field to "lame_mp3" - this is what we use for encoding - and the Codec field is automatically set to MP3. That's it. 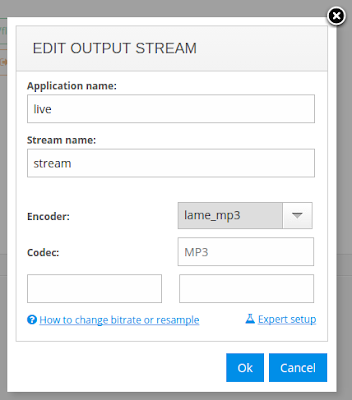 Save encoder settings, then save scenario and it will be applied to your transcoder instance. The specified source stream will be transcoded as defined.